Good morning! 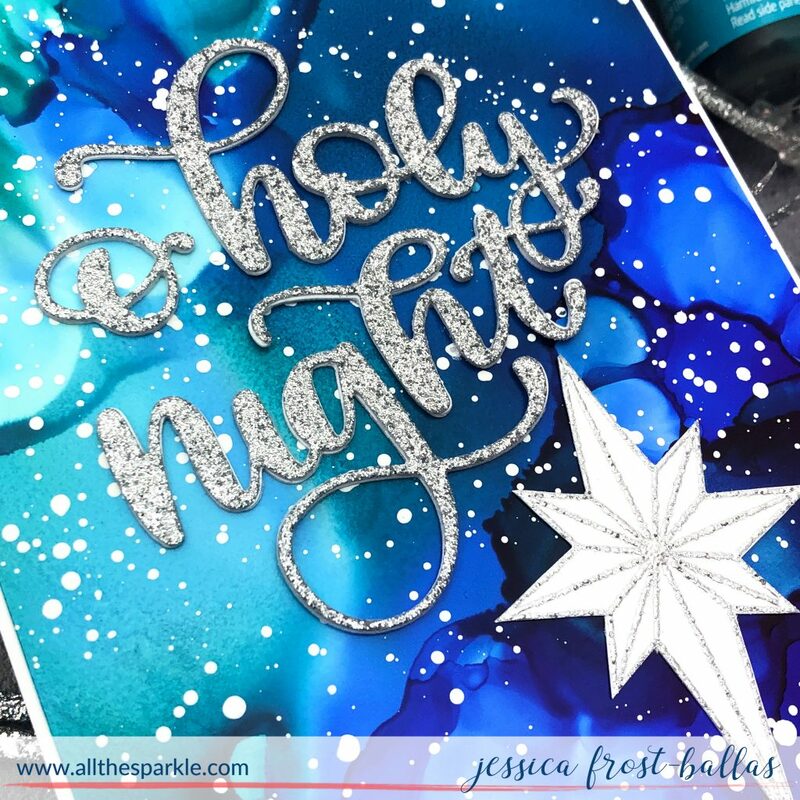 Jess here with a bright and vibrant Christmas card using alcohol inks and a beautiful scripty die from Simon Says Stamp! 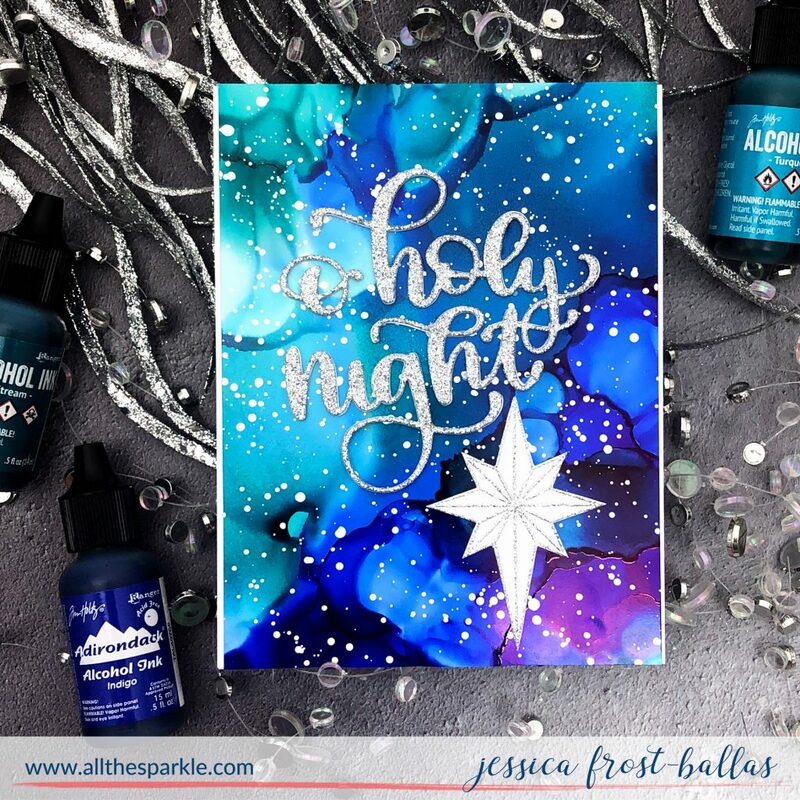 I love using alcohol inks to create backgrounds and I thought they would make a pretty wintery night sky! I blended indigo, turquoise, and stream alcohol inks onto a piece of yupo paper with alcohol ink blending solution and an air puffer! I let it dry completely and then splattered it with white gouache to create the effect of snow! Thanks for visiting and have a fantastic Friday! « Watercolor Practice with Purple Onion Designs! Beautiful! I have so many pretty backgrounds that I never wanted to cut into or hide, and this is perfect! 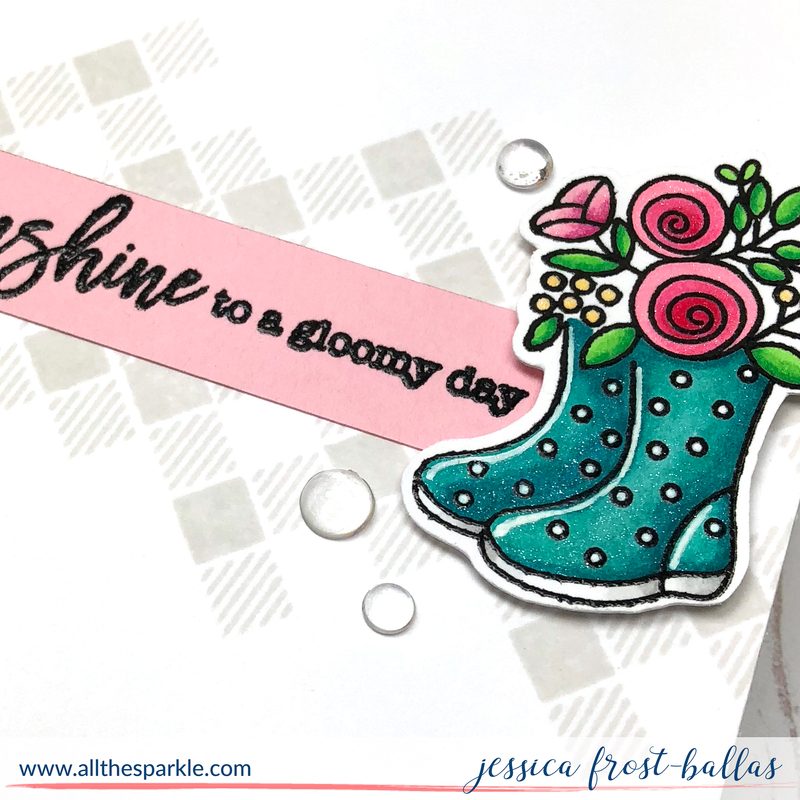 Oh that’s just so lovely Jessica thank you again for inspiring me it’s hard to do this time of year when you live in the snow and the dreary days. I just got this Oholy night die YAY..now I can use it..LOL.. Such a sparkly and beautiful card Jess! This is just a gorgeous card. The silver sparkle is just so beautiful against the blue background.